I think it’s safe to say that as gamers we are essentially concerned with one thing: improving our performance. While unprecedented skill and talent are achieved through consistent practice, we are all quite aware of at least one other vital component of our performance. And that, my friend, is our mouse. 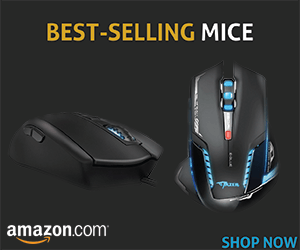 Whether your passion is for first-person shooters, real-time strategy games, or massively multiplayer online games, you’ll find that some mice do the job and others just simply don’t. 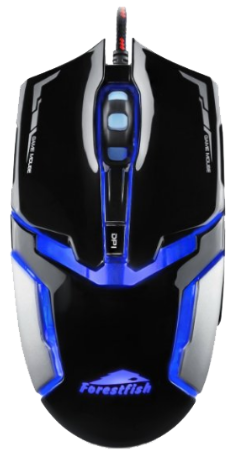 That said, we often need the best cheap gaming mouse to suit our needs and our budget. In this review, I’m going to talk about the Forestfish 3200 DPI, which proved to be one of the best cheap gaming mice available. Anytime I receive a new gaming mouse, I plug it into my rig to assess how complicated it is to get the mouse running and, if needed, install the software. While the Forestfish 3200 works as a plug-and-play mouse, it does come with a CD to install its software. The installation process on Windows 10 was an easy and simple process that took me fewer than five minutes to complete. Upon installing the software I was then given the option to customize all of the settings on the mouse. This is when I checked how to set up profiles, assign button commands, change lighting options and set the dots-per-inch (DPI). The Forestfish’s eight programmable controls can build, login, save, edit configuration file, and set up to five custom profiles as well as double-click interval, mouse pointer speed, swing speed and wheel speed. The software also allowed me to input a path to an executable file to accompany each profile. Basically, this means that you can tell the mouse to use a specific profile for a specific game. Having the option to load custom settings and button mapping dedicated for World of Warcraft, Doom, or Call of Duty is especially useful for gamers who play a diverse assortment of games. The Forestfish also comes with user-defined programmable buttons as well as wheel up and down buttons, which made it a relatively easy mouse for mapping out my hotkeys and macros. One minor drawback of the mouse is that it doesn’t give you the option to customize pre-set color modes the colors. Instead, the body lights up in four alternating colors (red-green-blue-white), which still manages to give the Forestfish a nice high-tech appearance. One serious design flaw with many mice is that the DPI switch is placed too close to the scroll wheel, which poses the threat of accidentally changing the DPI during gameplay. But during my three hours of playing World of Warcraft with the Forestfish this never became an issue. I found it relatively easy to set up the dots-per-inch and change the setting with the DPI switch, which sits just above the scroll wheel. This Forestfish mouse can set to a DPI of 800, 1600, 2400, and 3200. In comparison to some high-end mice, the Forestfish’s maximum sensitivity of only 3200 DPI hardly scratches the surface. For me, a 3200 DPI was responsive and smooth, and for most recreational gamers the Forestfish 3200 provides an adequate range of DPI settings. The next thing I noticed with the Forestfish 3200 is its sensor’s amazing precision. 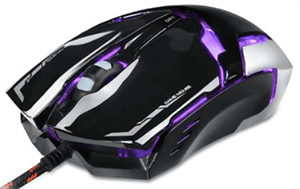 Forestfish used their optical sensor technology for this mouse and it proved to be a high-quality feature on a cheap gaming mouse. Typically, I use a mouse pad for gaming but I tested the sensor on several surfaces. The Forestfish 3200 performed exceedingly well on both a wood and plastic surface, which never resulted in any problems with the sensor’s accuracy. The medium sized design of the Forestfish 3200 should comfortably fit smaller to medium hands. Don’t let the pointy visuals on the mouse fool you the Forestfish has a round design that molded around my hand and made it particularly comfortable for long gaming sessions. For this mouse, Forestfish used a slick and glossy plastic body rather than a matte or rubber one. The plastic kept dirt and oil from accumulating. It also made the mouse easy to clean. On the sides of the mouse is a textured plastic surface, which provided me a nice grip. The downside of the plastic body is that it can become slick if your hands tend to get sweaty and moist. The mouse’s solid “clicky” feel also made it easy to avoid accidental clicks. The scroll wheel is aptly placed with raised black rubber bumps making it comfortable to use and easy to grip. The Forestfish 3200’s easy-to-install software proved to be complimentary to the mouse’s plentiful custom profiles and buttons. 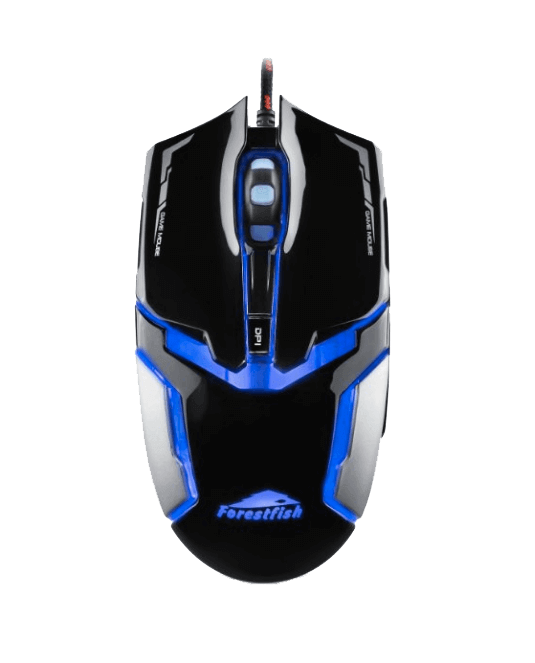 Along with adequate customizable choices for DPI and an accurate sensor, the Forestfish 3200 performed extremely well for a mouse in an affordable price range. Despite the potential downfalls of the aesthetic and ergonomic design, Forestfish packs key features into this cheap gaming mouse.